SPARTA — Sandy Roberts has always had a different way of thinking. So, when she teaches her Engineering Design Lab and science classes at Pope John XXIII Middle School, Mrs. Roberts asks her students to think of success and failure in an unconventional manner. “The No. 1 thing I tell kids in my classes is that failure is an option. In fact, it’s a likelihood,” Mrs. Roberts said. “Things are not going to work the way you plan and you are going to get frustrated and angry. You are going to hate certain projects, but all of that is part of the learning process. 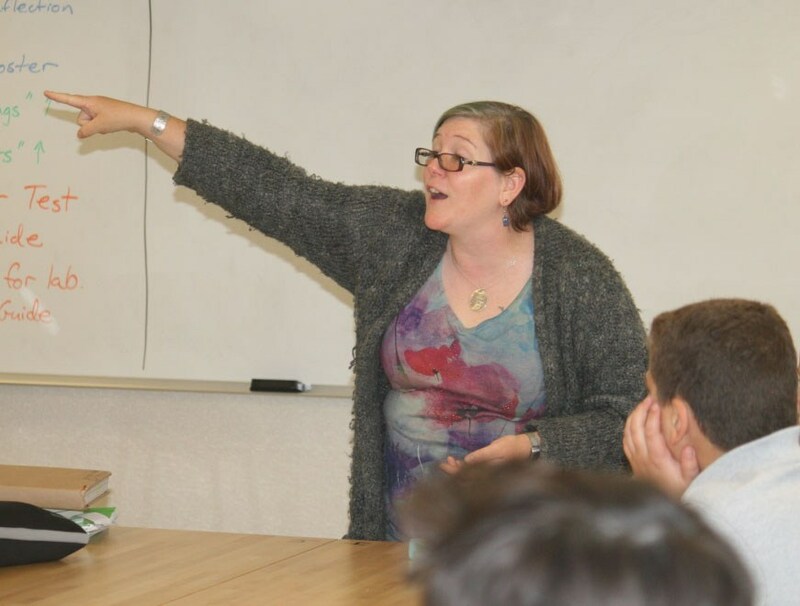 Mrs. Roberts’ philosophy in teaching is a big reason why she is not only a successful teacher at Pope John Middle School, but is also a renowned figure in the Maker Movement — a community of people who embrace innovation, creativity, and learning to improve the world and create a better future for it. 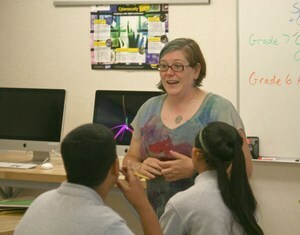 In fact, Mrs. Roberts will be speaking at the World Maker Faire at the New York Hall of Science in New York on Saturday. At the faire known as the “Greatest Show & Tell on Earth,” Mrs. Roberts will be speaking in an educational program titled “Six Years of Maker Camp: Tips and Reflections” from 4:15-4:45 p.m.
Long before getting this opportunity, Mrs. Roberts had been focused on doing things the traditional way. While growing up in Plainfield, Mrs. Roberts had always wanted to be a scientist. In pursuing this dream, she finished at the top of her class at every level of education to the point where she earned a bachelor’s degree in biochemical engineering at Stevens Institute of Technology. After her time as an undergraduate, Mrs. Roberts went to graduate school at Stevens. During this time, she worked as a biochemist in a lab, managed a theater production company, rebuilt a house and started a family. It was also a time when Mrs. Roberts’ view on education began to change. When she finished graduate school, Mrs. Roberts worked a few different jobs before she went back to school to get her teaching certification in math and science at the suggestion of a family member. When she became certified, Mrs. Roberts went on to land a job at Reverend George A. Brown Memorial School. However, Mrs. Roberts had another pivotal moment of her educational career in 2011 when a friend introduced her to Maker Faire. 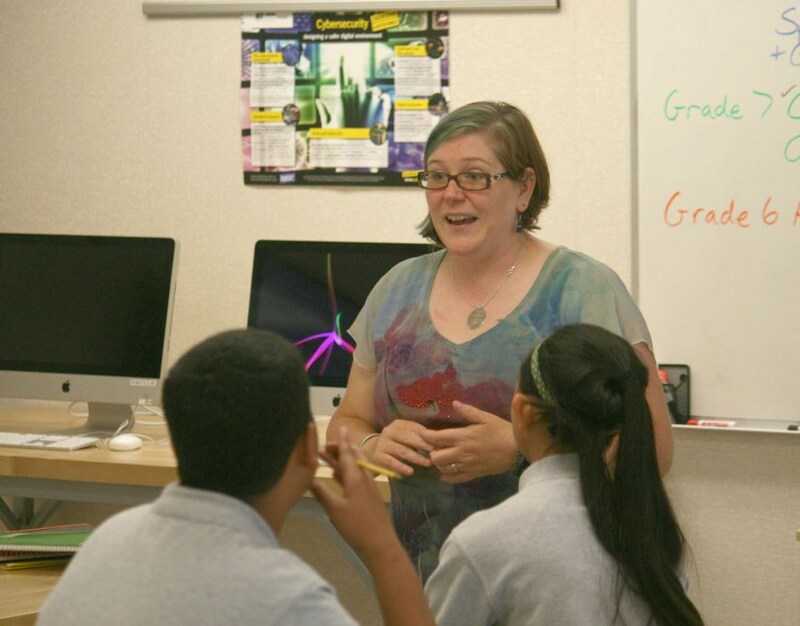 Since then, Mrs. Roberts has devoted her time to the Maker Movement. 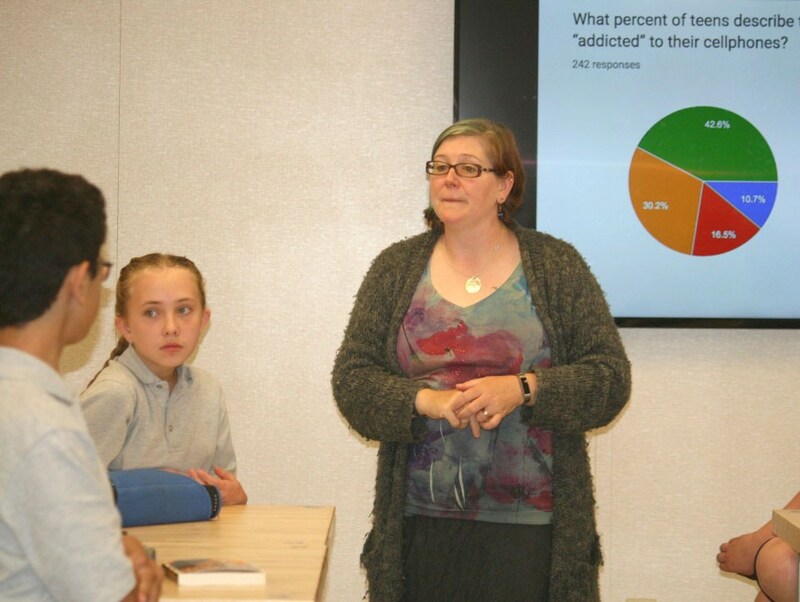 She became the first person in New Jersey to create a number of after-school programs all over New Jersey tailored to Maker initiatives, including Kaleidoscope Enrichment. In addition, she has been a part of two award-winning projects at Maker Faire. And since becoming a teacher at Pope John Middle School last year, she has helped her fifth, sixth and seventh grade students become a part of it. Mrs. Roberts has had her students in Engineering Design Lab make projects such as roller coasters, solar sprints and a video game through Scratch. However, Mrs. Roberts said she is “not afraid” to have her students make projects out of things not dealing with advanced technology. Seventh grade student Luke Gang loves Mrs. Roberts’ classes because of its uniqueness. Fellow seventh grade student Gabby Labrada loves how Mrs. Roberts provides a place where they can truly learn how to overcome failure. While her students will be constantly busy throughout the year trying to come up with their own inventions and creations, Mrs. Roberts hopes that along the way they will see that the rules of the classroom also apply to her. More importantly, she hopes they always have the drive to acquire more knowledge and solve problems in the future.